Travel to Baler, when mentioned, more often conjures images of surfing or a day at the beach. Undoubtedly, the town of Baler is a premier surfing destination. However, beyond surfing, Baler's historical destinations and natural attractions hold a lot of promise. Surfing season in Baler peaks during the winter monsoon months (locally known as amihan) which typically begin around November until summer of the following year. Baler, once a sleepy town in Aurora province some 230 km. northeast of Manila, has become a favorite surfing and eco-tourism destination because of its proximity to the capital. Baler is quite young in the tourism scene; it was only around 3 years ago when it began enjoying popularity as a tourist spot. Nonetheless, residents still remain unperturbed despite the huge daily influx of travelers. There is no nightlife in Baler, save for a handful of restaurants along Sabang Beach. Most establishments are closed by 7:00 or 8:00 PM, thus getting a tricycle to take you back to your hotel may already prove to be a challenge around that time. And in most households, families are already preparing to go to bed by 9:00 PM. 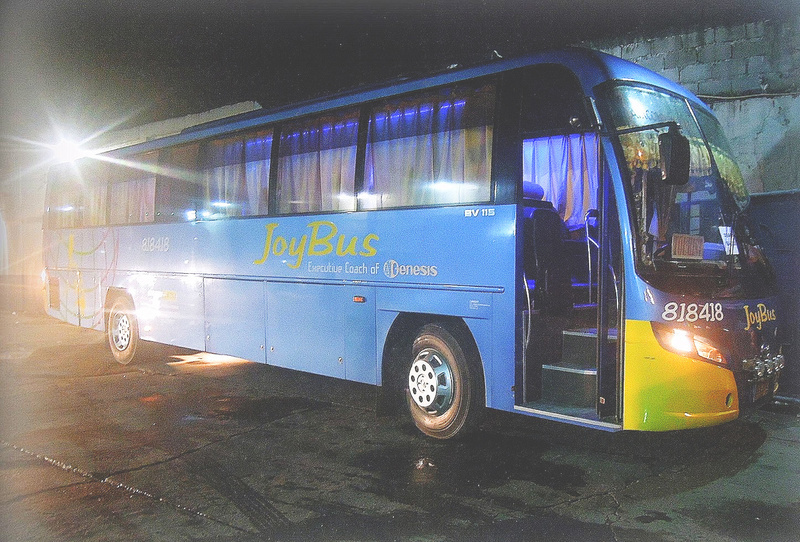 If you are taking an early morning trip, you may sleep through it in Joy Bus’ comfortable La-Z Boy seats. It can get really cold inside so take with you a jacket or a thick cardigan. They do, however, provide coverlets but it would not be enough to combat the cold air. Good thing there is a restroom inside so you will not have to worry about getting a call from nature. Complimentary bottled water and biscuits are also available on board. 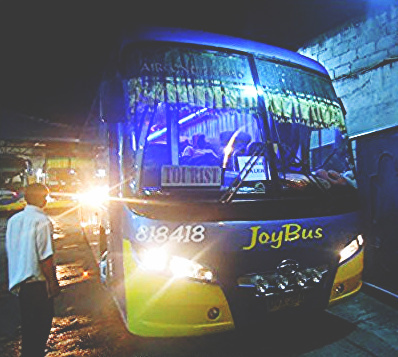 Joybus usually has no stopovers but if they do, it’s usually just a brief 10-15 minute rest. Tip: Upon reaching the Genesis terminal in Baler, you might want to reserve a return ticket as it gets fully-booked quite fast. 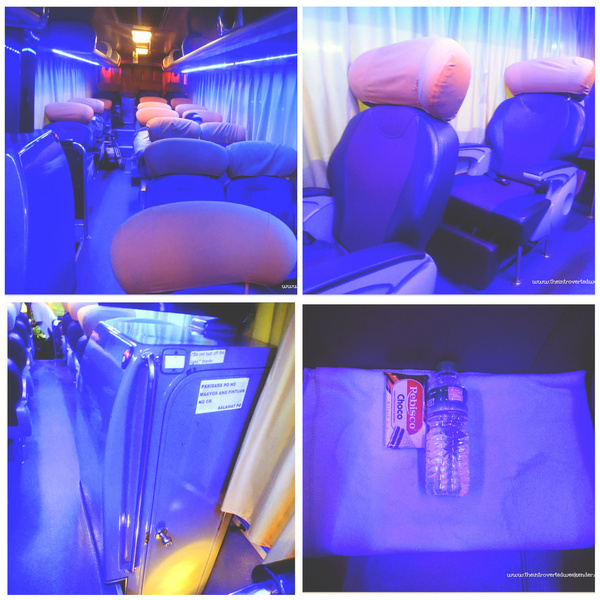 If you are on a tight budget, you may also opt to take a Genesis bus from Cubao to Baler, the earliest trip is at 6:00 AM while the latest is at 11:00 PM. Genesis has very few trips plying the Cubao-Baler route. 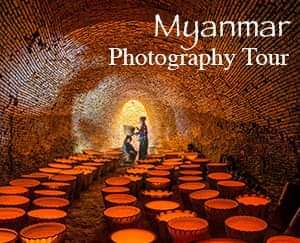 But do confirm with them the schedules of their trips as they rarely update the calendar posted in their website. 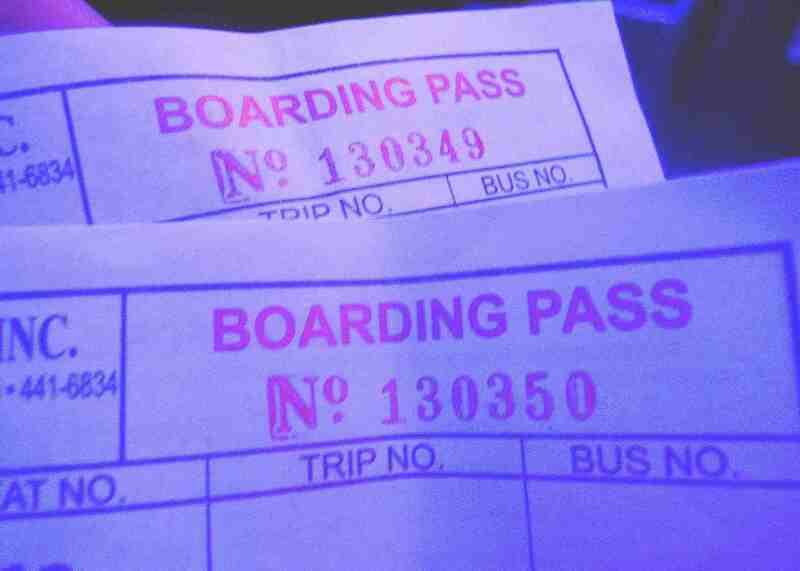 Alternatively, you may take any bus bound for Cabanatuan (Genesis, Five Star, Baliwag or ES Transport) for less than Php 200. You may take the NLEX or SCTEX route but the latter is recommended because it’s faster. From Cabantuan Central Transport terminal, take any bus or van going to Baler (fare around Php 200). Try to be early, though, because trips are until 5:00 or 6:00 PM only. 1. NLEX (Bulacan-Nueva Ecija route). From Edsa, Balintawak, exit to the North Luzon Expressway. Make a turn to the Sta. Rita exit and take the highway passing through Plaridel, Baliuag, San Ildefonso, San Miguel, Gapan, Sta. Rosa and Cabanatuan. 2. SCTEX (Tarlac-Sta.Rosa-Cabanatuan route). NLEX up to Clark Logistics Interchange. Enter SCTEX going to Tarlac. Exit at Amucao, Tarlac (End of SCTEX). Turn right to La Paz up to Sta. Rosa, NE. Turn left going to Cabanatuan. From Cabanatuan City, there are two routes going to Baler, the Baler-Bongabon Road and the longer Canili-Pantabangan Road. The Baler-Bongabon road will take you through winding roads across the Sierra Madre. From Cabanatuan take the Maharlika Highway and turn right to the Nueva Ecija – Aurora Road where you will pass through Palayan City and Bongabon, Nueva Ecija. From Bongabon turn right to the road going to the Sierra Madre mountains. After two or three hours of winding road you will reach the municipality of San Luis and then Baler. Canili-Pantabangan Route. From Cabanatuan take the Maharlika Highway going to Talavera, Nueva Ecija. Turn right to the road going to Rizal and Pantabangan. This road will take you to Canili, Maria Aurora, Aurora. The road will pass through the Sierra Madre until you reach the Poblacion of Maria Aurora. From Maria, Aurora you can then go straight to Baler. There used to be commercial flights going to Aurora. Currently, Seair has seasonal and chartered flights to Baler. For private airplanes, there is an airstrip located at Brgy. San Isidro, San Luis, Aurora about 10 kilometers from the Baler town proper.